Whether you're hard of hearing, watching a foreign movie, or just like reading along when you're watching a TV show or film on your smartphone, Netflix includes captions and subtitles that you can use. Best of all, if you don't like the way the default captions and subtitles look (color, background, font, or size), Netflix has your back. 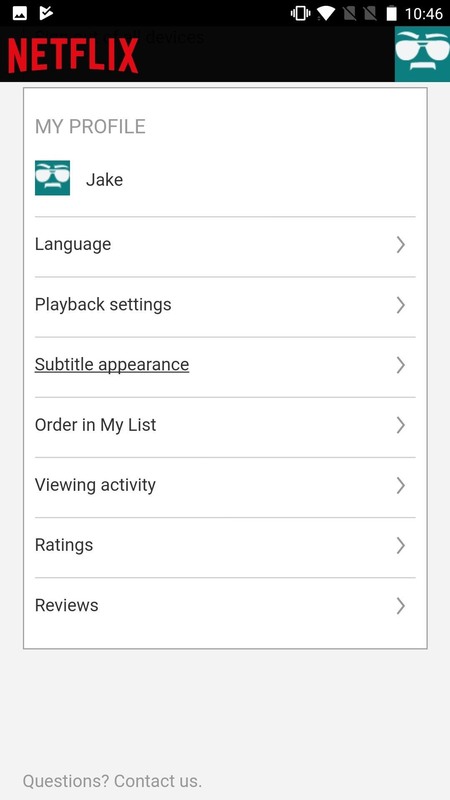 If you have an Android phone or tablet, the process is simple to customize captions and subtitles, though any changes you make will affect how subtitles appear across (almost all) of your devices connected to Netflix. As for that "almost all" part, iOS devices such as an iPhone or iPad, as well as Apple TVs, won't see these changes and require a special process to customize captions and subtitles. Tap the hamburger icon in the top left of the display to open the side menu. Scroll down and tap "Account." This will automatically launch Netflix in your web browser. Scroll down to My Profile, then tap "Subtitle appearance." 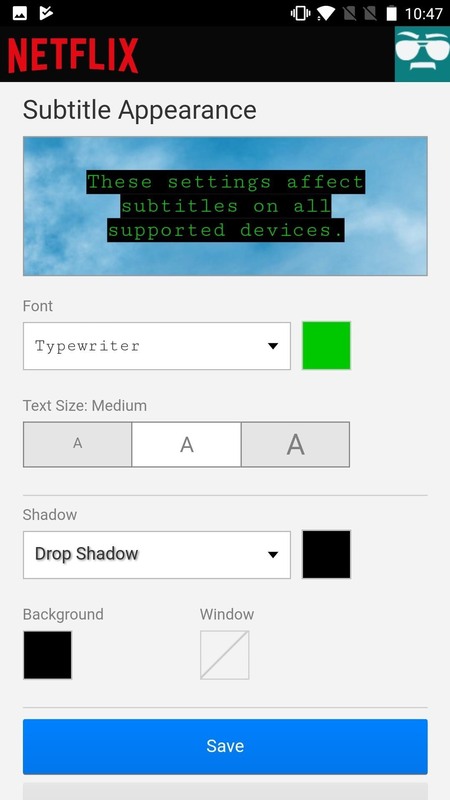 From here, you have an incredible amount of control over the appearance of your subtitles. Choose the font, text size, background and window color, and shadow type and color. You can make some funky choices here, so just do what looks best for you depending on your situation. Again, these changes affect the look of subtitles and captions for all of your compatible devices (except iOS and tvOS devices), so whatever style you've decided works best for your smartphone or tablet may differ from what works on your TV. If you are going to be watching Netflix on different types of displays, it might be worth doing some experimenting to find the style that works best for you across all of those displays so you don't have to readjust the settings frequently.